When dealing with huge amount of e-mails stored at corporative mailboxes, it is extremely difficult to find required information in the whole scope of .eml files. It is far more convenient to work with text files in common text viewers to observe letters and extract required data, as well as analyze the corporative email history. 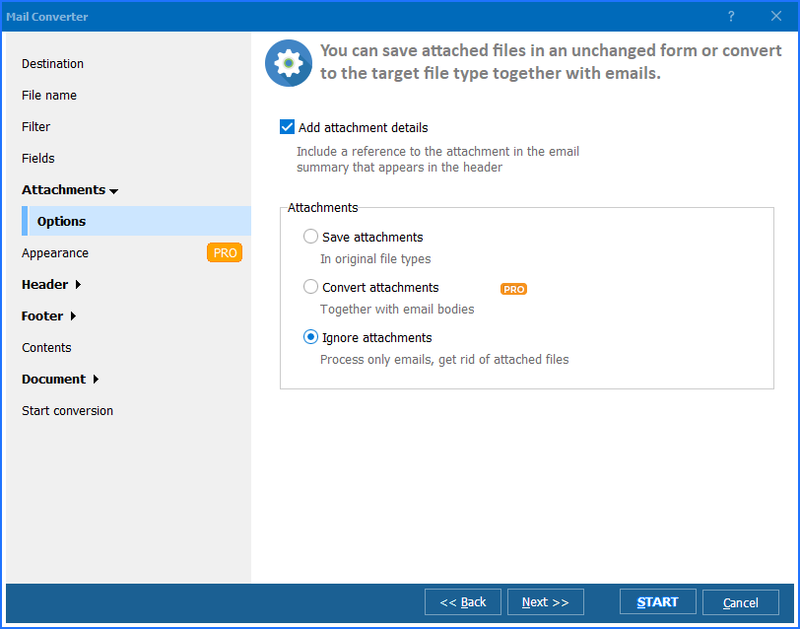 It becomes possible when converting email to RTF files and storing them at specific memory folder separately from the email client. Email converter guarantees the safety of corporative information contained in mailboxes of employees even if they quit their positions. 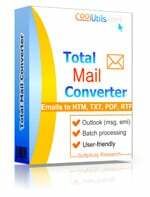 Speaking about proper application capable of converting emails to various file formats, there is no better helper than Total Mail Converter. Why? It is Windows-compatible program that is able to convert EML to RTF, as well as to DOC, TIFF, PDF and other formats. While RTF is the most widely used format after TXT that allows to save formatting, it serves as the best choice for backing up office correspondence. 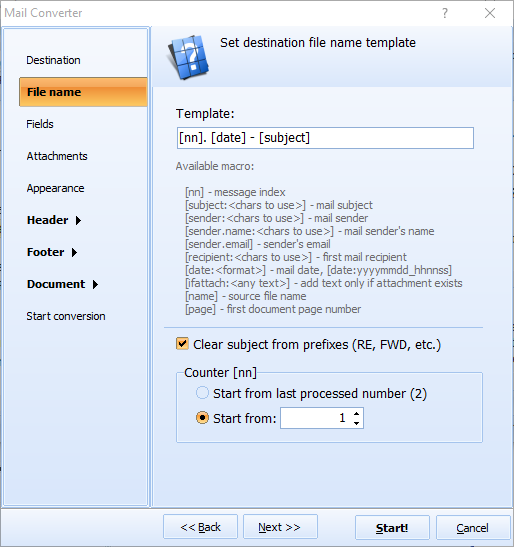 Total Mail Converter is able to process one or several .eml files at the same time. While converting several folder it keeps folders structure. To convert many emails in one operation, you need to check them all in the program file manager (you will see it in the centre of program window). Then just click on RTF in ‘Convert to:’ bar to open the options wizard. The wizard o fthe program helps you to perform all necessary settings: set the destination of RTF copies, select fields to be converted, tune the output document appearance and the order of attachments processing. The other way is to use default settings that also provide with good results. 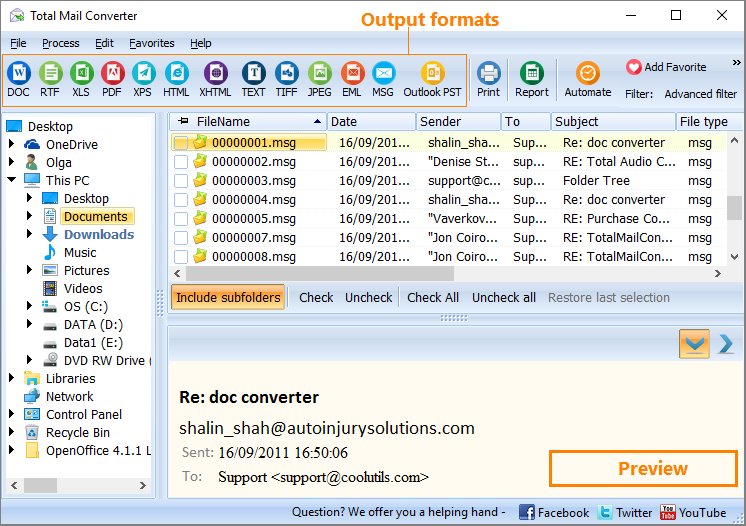 This EML converter offers the command line mode that allows to convert emails in batches outside of program interface. 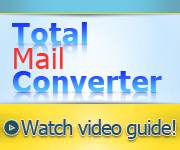 Total Mail Converter is available for the purchase. You are welcome to buy it or try online. Convert Email to RTF with Coolutils.